Wild Rock Wine Company: Wild Rock Chardonnay �The Wild Rock Chardonnay:Pale golden straw colour. Ripe peach and apricot aromas with hints of citrus blossom. 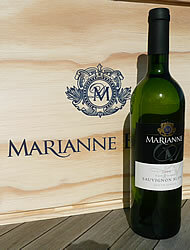 The palate is rich and warm with sweet fruit subtly complemented by toasted oak notes. Whilst soft and luscious upfront there is citrus like acidity providing length to the finish. https://www.weinbaule.de/white-wine-australia-new-zealand-wild-rock-chardonnay-p-2413.html?osCsid=41ab39c98427d31685a703462078a3e0"> Wine 15.49 9421004552349 WeinBaule.de | The Home of Wine Wild Rock Wine Company New In stock!